Live, original music provides a wonderful soundtrack to the Annual Craftsmen’s Fair experience. Here are the musicians performing at the 2017 Fair. One of the finest acts on the lively New England folk scene. Susie and David’s music is a blend of contemporary, traditional, and original folk and acoustic music. Together, they bring skill, feeling, and pure enjoyment to their music. High Range is a high energy roots/folk/bluegrass group with a long list of rave reviews from national publications. 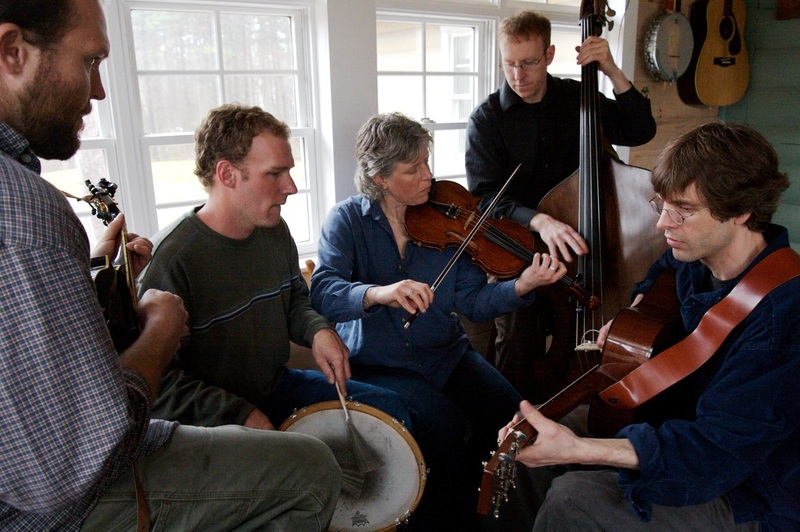 They highlight original music on guitar, upright bass, mandolin, fiddle, banjo and drums. Doug plays with two legendary New England musicians, Kent Allyn on bass and Bruce Derr on pedal steel. Kathy Lowe, a native New Hampshire singer/songwriter, comes from a vaudeville and circus family. She plays guitar, dulcimer, and percussion and performs children’s music and songs about the earth and nature. Kent Allyn, her buddy of 45 years and musician extraordinaire, will accompany Kathy on piano, bass, guitar and vocals. Joel Cage is a virtuoso guitarist and veteran singer/songwriter. His music runs the gamut, sounding like a full rock band to an intimate balladeer. Once a member of Southside Johnny & the Asbury Jukes, Joel has been performing regionally and nationally as a soloist for the past 2 decades. Julie Snow is a Boston-based singer-songwriter whose songs are infused with with her commitment to social justice and moral action. Her songs are like fine tapestries — woven with message and meaning. Folk trio Lula Wiles bring to the Fair their breezy vocal harmonizing and sharp picking, bowing, and plucking. Their songs span from heartbreak-drenched acoustic ballads to honky-tonk swagger to contemporary grit and back again, all anchored by rich vocal harmonies. Neptune’s Car is Holly Hanson and Steve Hayes, an acoustic duo from Massachusetts and New Hampshire who play original, contemporary folk music. Enjoy their vibrant lyrics and compelling melodies that tell stories rich in detail. Watch how these master craftsmen — all juried members of the League of NH Craftsmen — transform raw materials into extraordinary fine craft. David Little bends stainless steel to make beautiful wall art. Jordana Korsen collaborates with others to create colorful blown glass pieces. Kristin Kennedy hand carves wax to make elegant gemstone jewelry. Nancy O’Connor creates intricate patterns as she weaves a scarf. Lulu Fichter uses natural organic matter as the finish for her hand-built pottery. With century-old tools and local furniture wood, Adam Nudd-Homeyer creates heirloom chairs. Most of these craftsmen are participating in the League’s Annual Craftsmen’s Fair, happening August 5-13 at the Mount Sunapee Resort in Newbury, NH. Plan to attend and stop in to see them in person! With more than 200 booths filled with the nation’s finest handmade craft, you are sure to find something you will love at the Annual Craftsmen’s Fair. This is the place for one-of-a-kind jewelry, scarves, jackets and other wearables…decorative bowls, glasses, vases and vessels made from wood, glass or metal…eye-catching ornaments, prints, musical instruments, and sculptures…and unique, high-quality furniture. Whether you are shopping for a gift or for yourself, the Fair has fabulous items at all price points – it is truly a shopper’s paradise! scrumptious products from specialty food vendors and New Hampshire restaurants for your sampling pleasure. Safe storage of your packages: Leave your purchases with League staff while you continue to shop, watch a demonstration, or participate in workshop. Membership levels range from $50 to $1,000. Veterans, seniors, and active students receive $10 off Supporting Memberships. Join or renew today. Become a Supporting Member of the League — Let’s Create Something Together! Singalongs with singer/musician Amy Conley at 11:30 am and 1:30 pm. Amy plays guitar and banjo, and has a box of rhythm instruments, dancing props, and animal puppets for a wonderful interactive program suitable for ages 1-10. Magical fun and silly surprises with BJ Hickman. There’s magic in the air when BJ demonstrates his masterful illusions and visual tricks. A Van Gogh mime that will entertain and encourage children to express their imagination through movement. Face painting by Jessie: Your child will get a thrill out of having his/her face transformed into a work of art. Every day of the Fair, kids can participate in a hands-on pottery workshop and make their own clay artwork, and Tools for Kids, where they can experience a variety of woodworking tools in a safe environment. Bring the kids to the Fair for some joyful, educational and creative play.